A "class action" lawsuit is one in which a group of people have been injured by the same parties under similar facts. Sometimes, many people have been injured or killed by negligence that has common threads regarding how the injuries occurred, but the victims have very different types of injuries. 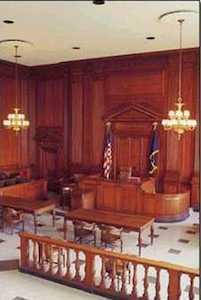 In an MDL, there is not a single trial that resolves all of the cases but the case is consolidated under one federal judge who handles all of the discovery matters that are common to all of the defendants. Using the Depuy hip replacement class action as an example, there would be written discovery to DePuy, witnesses will be deposed from DePuy/Johnson & Johnson, the FDA, and relevant medical experts. The MDL will even conduct what are called de bene esse deposition (or trial deposition), in which witnesses give testimony by videotape. This testimony can be played by video at trial in any case involving these defective hip implants, and the testimony has the same value as if that witness was testifying live in front of the jury at trial. Why Do we Have MDLs? The efficiencies of consolidating cases in the MDL often have the greatest impact on the effort required to gather and review all of the relevant documents in the case. In large drug and medical device litigation, there will usually be millions of records sought and produced to plaintiffs’ lawyers. The pharmaceutical companies clearly want to avoid the costs of providing the documents to each plaintiff’s lawyer and the plaintiffs’ lawyers similarly do not wish to take on the effort alone. The MDL allows a mechanism for both sides to accomplish this onerous task in a cost effective way. The MDL provides the tools in these class action type cases for plaintiffs’ lawyers to try a case on the defendant’s liability with little or no work on their part because that part of the case has been largely completed for them. What these lawyers still have to develop – and what is often the most difficult part of the case – is the causation case, i.e., did the defendant’s negligence cause the plaintiff’s injuries. In mass tort cases with large numbers of victims, the MDL judge will often select a group of what we call "bellwether plaintiffs" for initial trials. These trials are needed because, when you think about it, the failure to reach a settlement in a case means that the parties have a disagreement about the relative strengths and weaknesses of their allegations or defenses. The thinking is that a few trial begin to clear up the value of the cases and get both parties -- particularly the more intransigent one -- to look at their case more realistically. Will My MDL Case Go to Trial? Who knows? But, statistically, the answer is a resounding no. Few MDL go back and are tried. Usually, the cases either reach a global settlement or, in some cases where the claims are lacking in merit, they are dismissed.